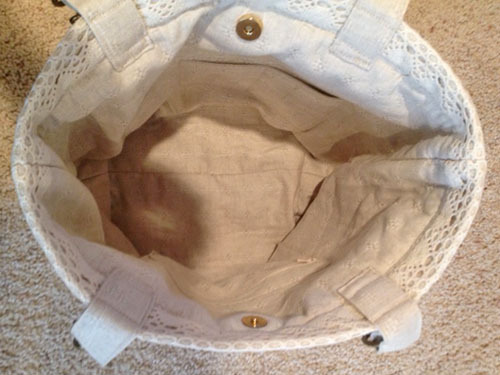 I have just completed the WeAllSew Beach Bound Straw Tote. It is a gift for my daughter’s 45th birthday this week. I downloaded the pattern and directions from the WeAllSew website. 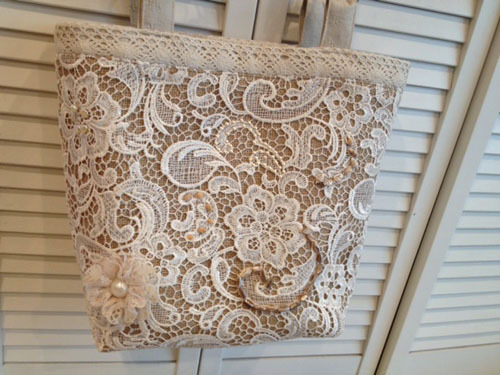 I tried an unusual combination of bridal lace over burlap. I did hand beading on the front combined with hot fix pearl decoration and a small purchased decoration. Handles are linen and brass. The edge is woven fabric. The inside features a zipped pocket on one side, and three slide-in pockets on the other side for cell phone, etc. 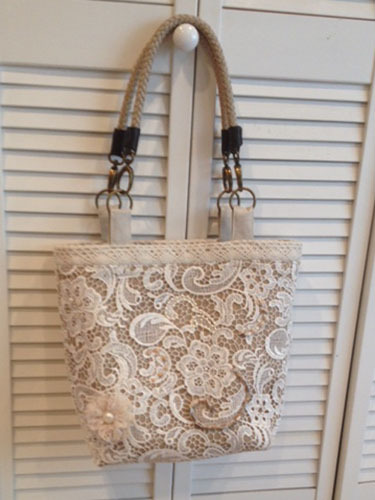 I love this tote – can you tell me where you found the hardware for the handles? Hello chromadka, Melissa purchased them at Joann’s. Many craft stores carry them.